On Saturday the 5th of July, my boyfriend and I celebrated our 1 year anniversary of being together. 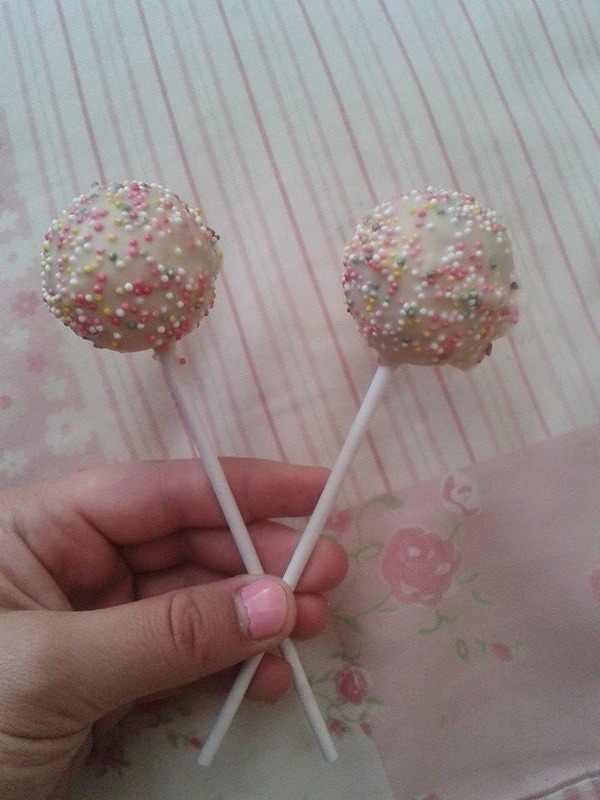 As a small present, I baked some cake pops for him and planned to buy him something nice out in London, if he saw anything out in the shops. 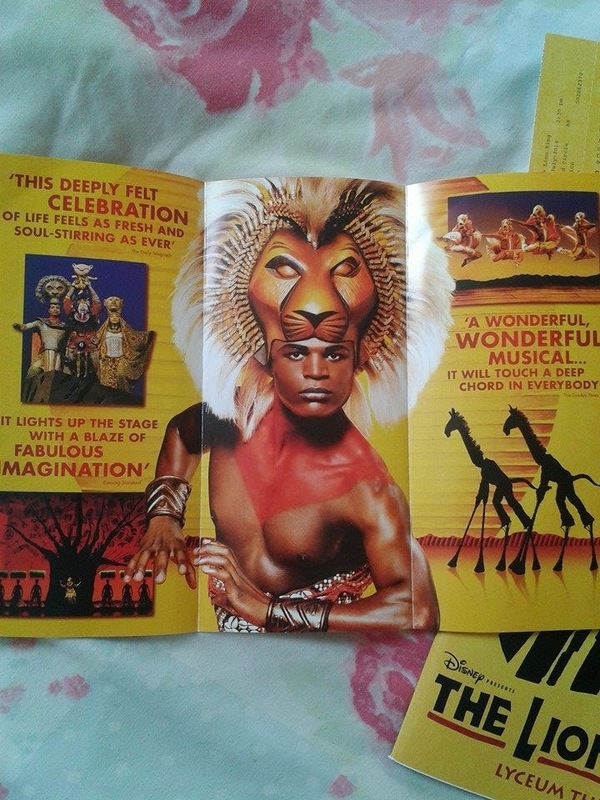 Unfortunately, things didn't go to plan and we didn't end up finding much so I owe him a lot because he bought us tickets to see The Lion King in the West End. It was soooo good (more about that later!). 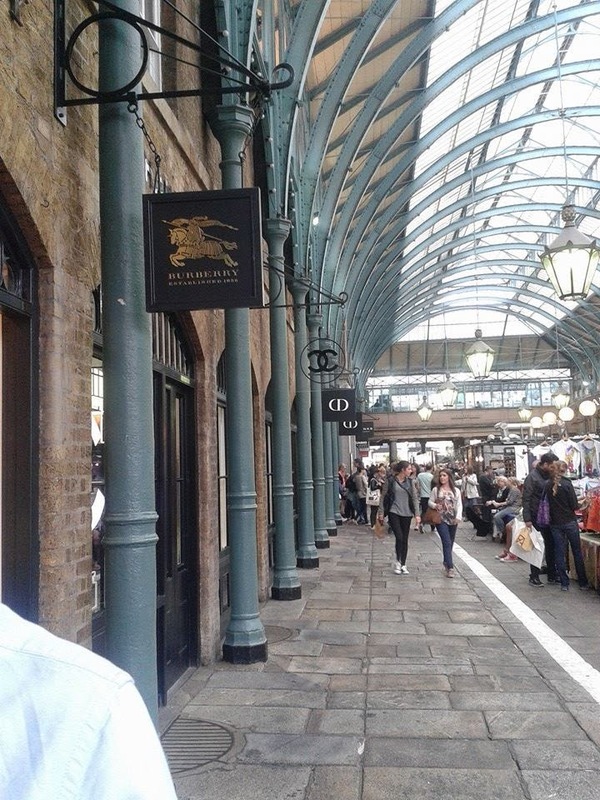 To begin, we made our way towards Covent Garden, as it wasn't far from where we were going to have lunch. 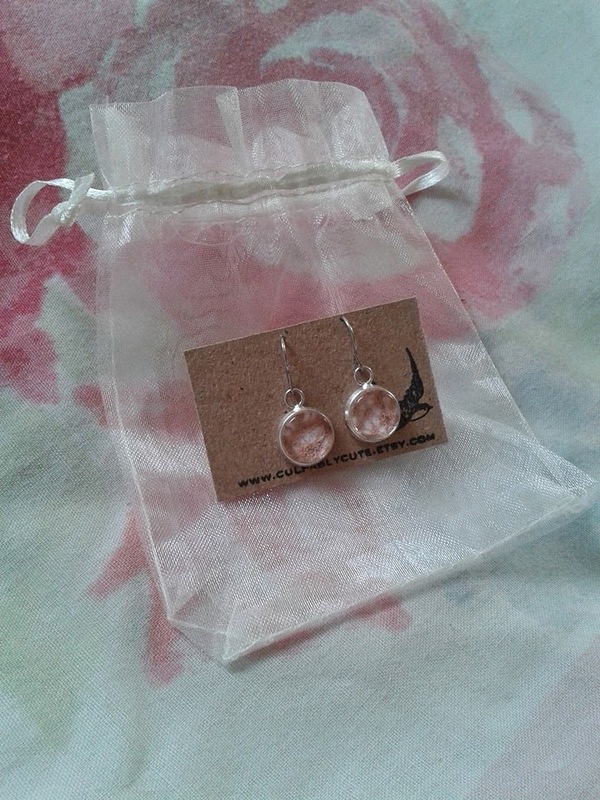 We strolled along all the handmade art stalls and Aidan's mum ended up treating me to this cute pair of earrings. They are so beautiful and went perfectly with my dress, so I decided to put them in straight away! Surrounding the stalls, were high end brands like: Burberry, Chanel, Dior etc. Aidan and I went into them so that I could have a sneak peek at the makeup. 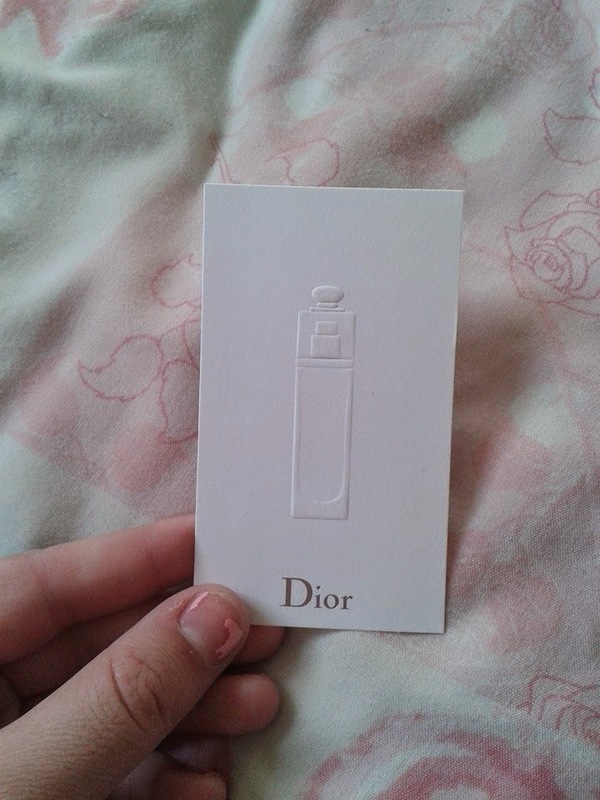 In Dior, I ended up getting sprayed with their latest release - Dior Addict. The scent was absolutely gorgeous and it is another perfume that has nicely been added to my fragrance wishlist. Whilst heading off to get our lunch, as we booked a table for 12 o'clock, myself and Aidan's mum got drawn into the Bodyshop. This was because we had seen a sign near the entrance saying 'Body Butters WERE £13 each, NOW £15 for 5'. 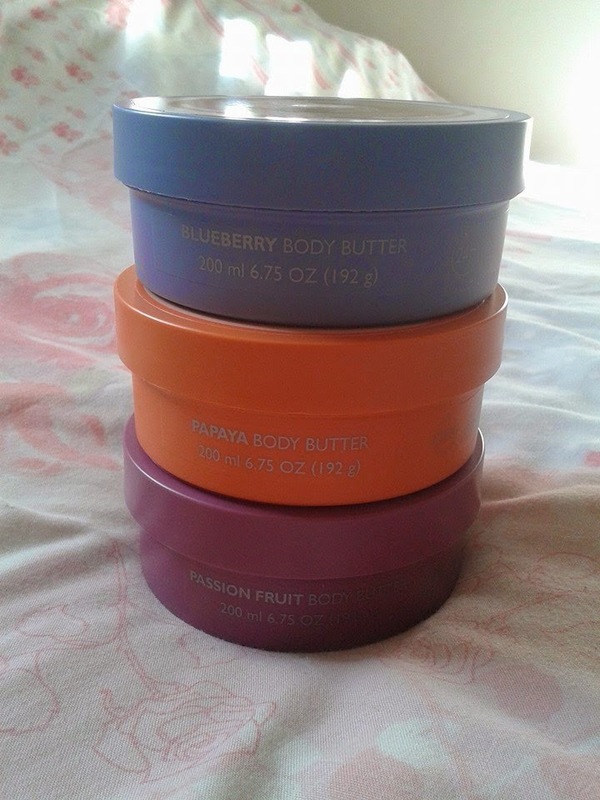 We thought this deal was insane, as these were full sized 200ml body butters and the smaller ones cost £5 each! We had to take advantage and buy 5; Aidan's mother insisted I had three and she have the two. 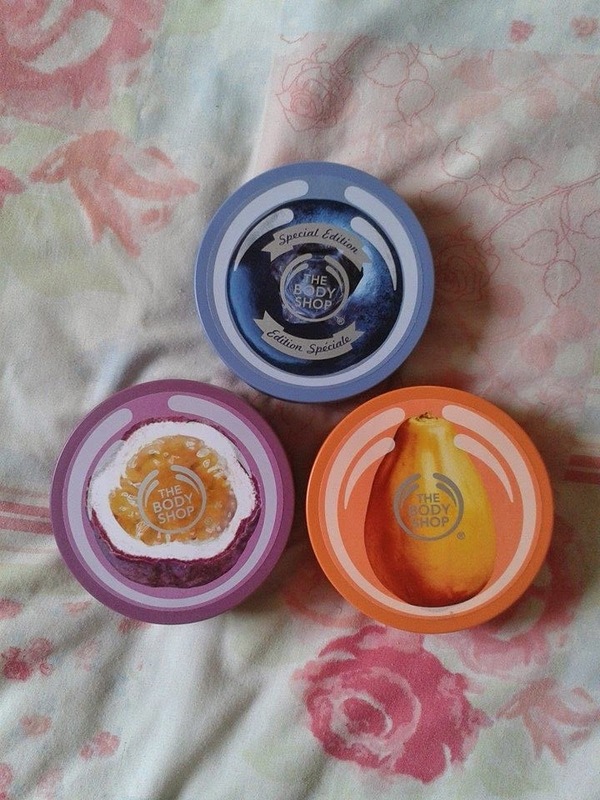 I got the Passion Fruit, Papaya and Blueberry scented ones and they smell gorgeous. I cannot wait to use them on my body! 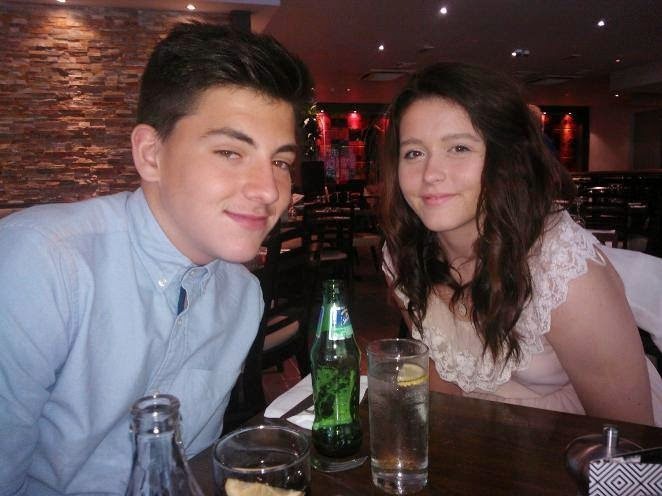 It was now time for lunch, and we booked a table for Prezzo. 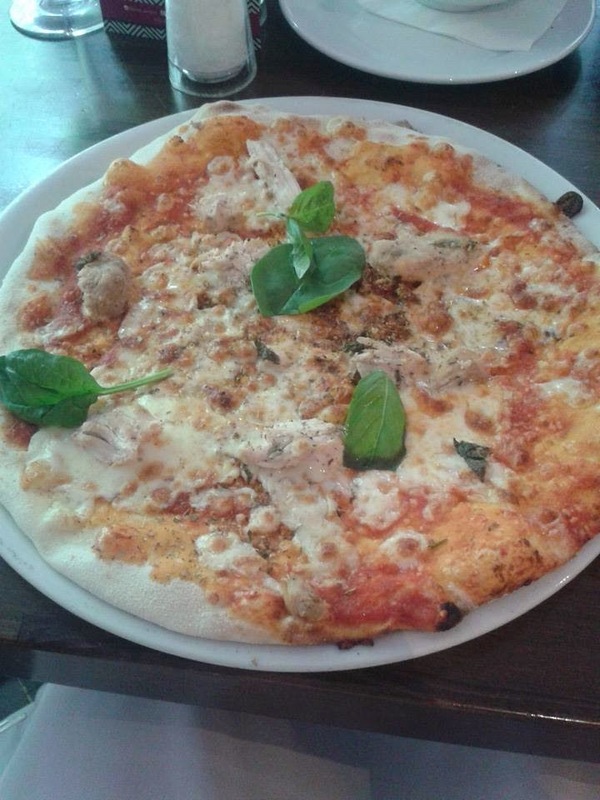 I absolutely love Prezzo, their thin crust pizzas taste delicious! 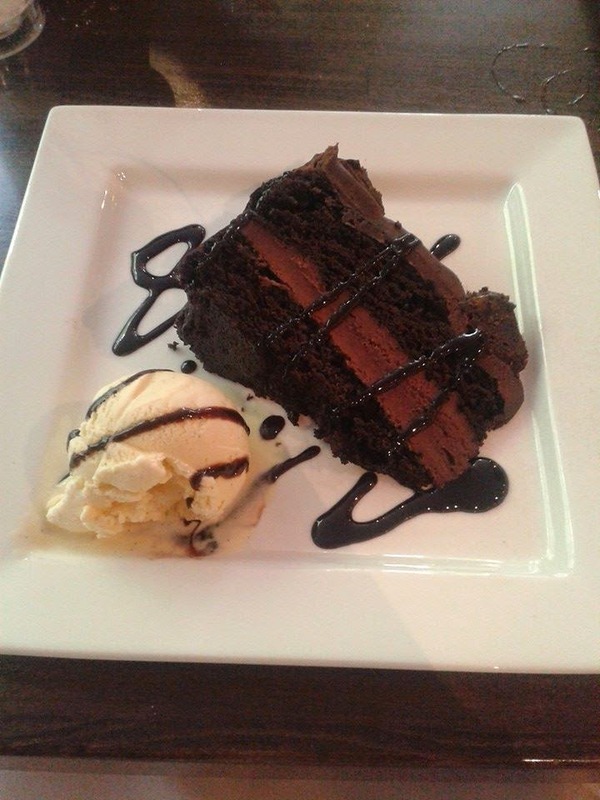 For my starter, I had cibatta bread with olive oil, my main meal was a margherita pizza topped with seasoned chicken and for dessert I had the most gorgeous chocolate fudge cake with vanilla ice cream. 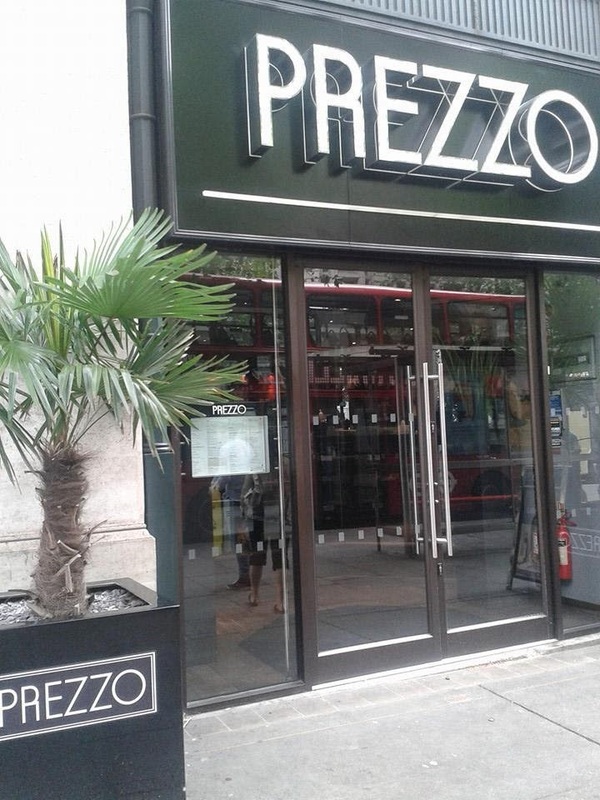 Despite Prezzo being quite expensive, it is definitely worth it and a lovely treat for yourself or if you wish to take someone out. 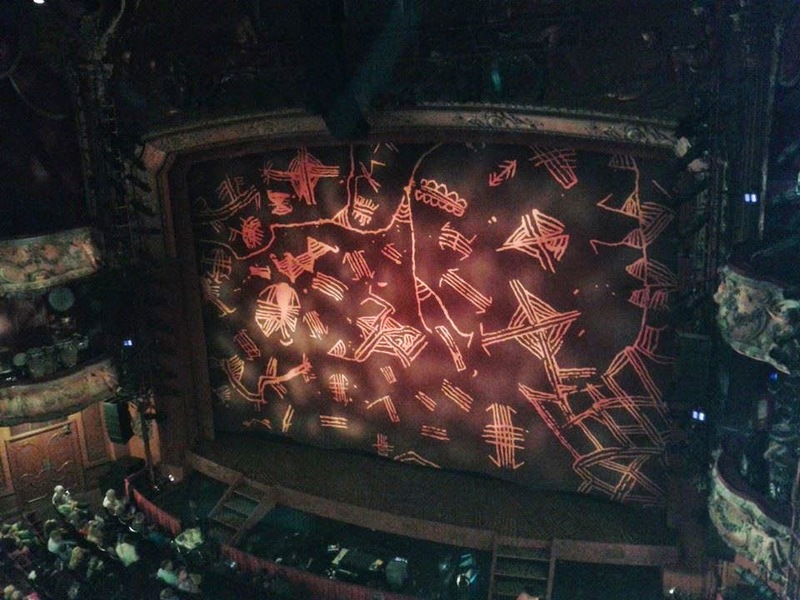 Now for my favourite part - The Lion King. I was completely amazed by the cast's performance. They did all the songs justice and the voices of everyone on stage were incredible. I wish I was up there with them *sad face*. 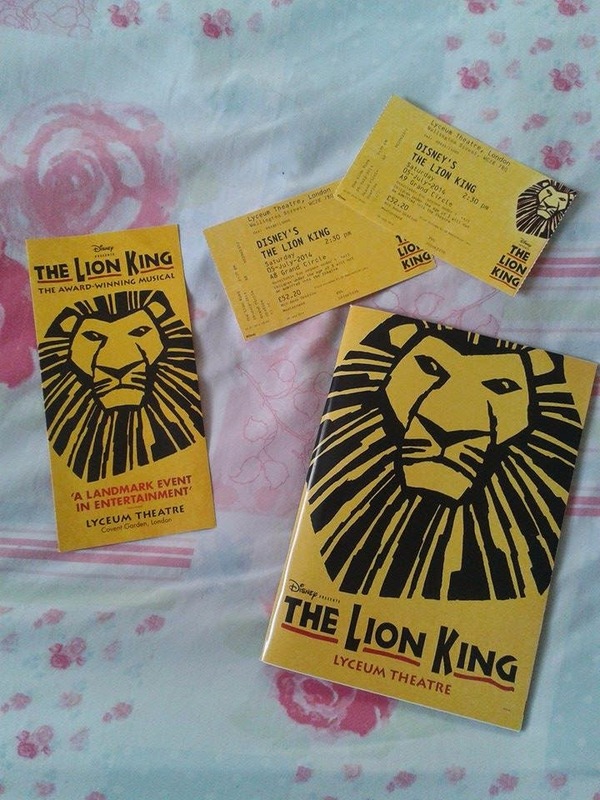 I love all the songs in the Lion King - Circle of Life and Can you feel the love tonight are my faves! I loved the setting of the stage and the costumes were so detailed and made so well. It is definitely the best thing I have ever seen performed in my whole life and would do anything to go and see it again in the future. Although I haven't seen many West End productions, I would definitely recommend watching this immediately if you ever get the opportunity to do so. It really made my day and I love Aidan so much for buying me the tickets and he really knew how much it would mean to me and how much I wanted to see it. Oh, and we also had the best seats - front row of the the grand circle. The theatre was enormous too! 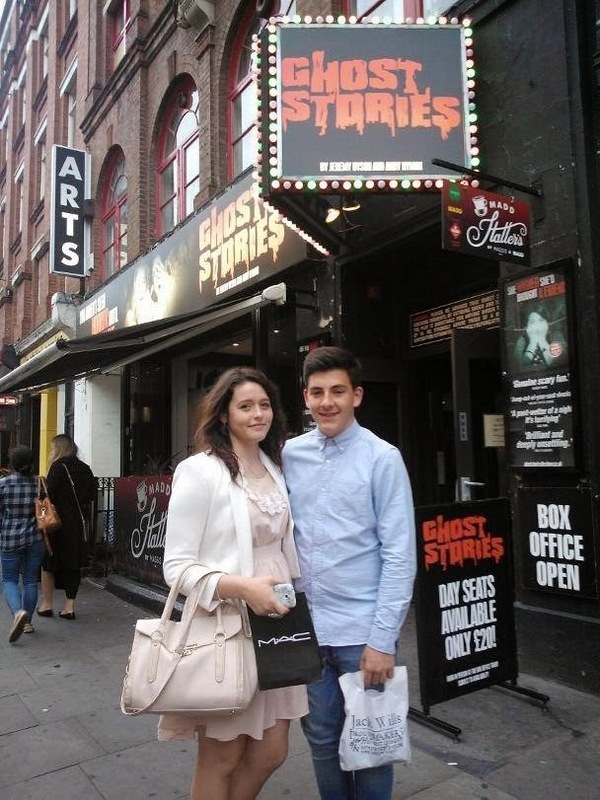 After enduring an amazing musical experience, Aidan and I went to find his mum. 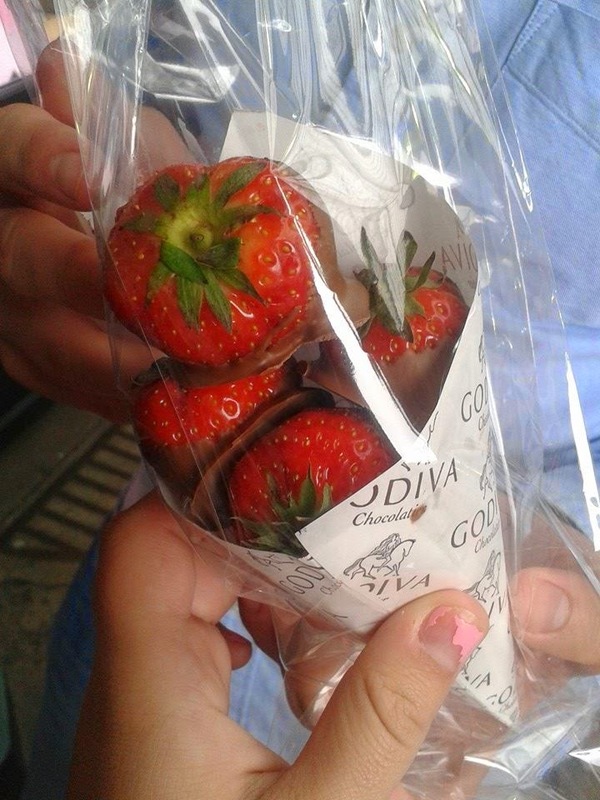 She very kindly bought us these gorgeous chocolate covered strawberries from a shop called Godiva. They were ridiculously priced at £10 each, but nonetheless, they tasted amazing. 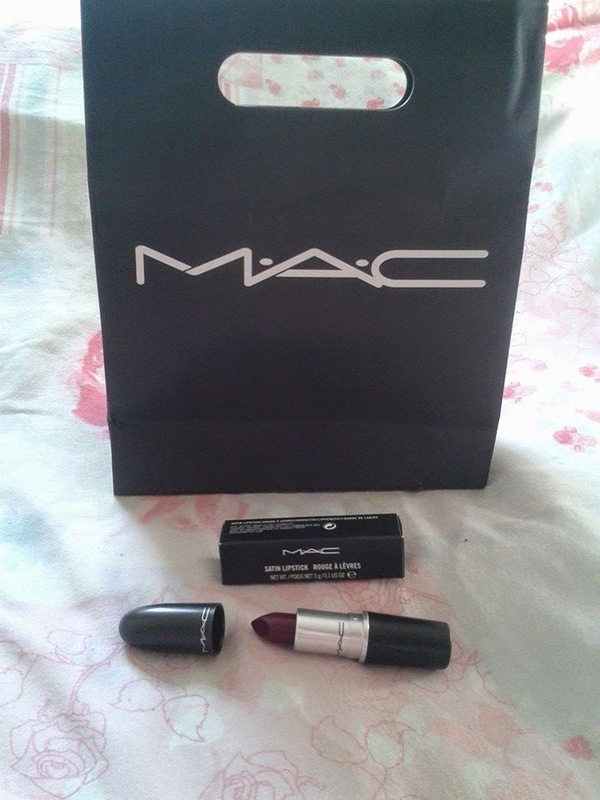 I also ended up having a sneaky look in mac and purchased 'REBEL' which I have had my eye on for such time now. 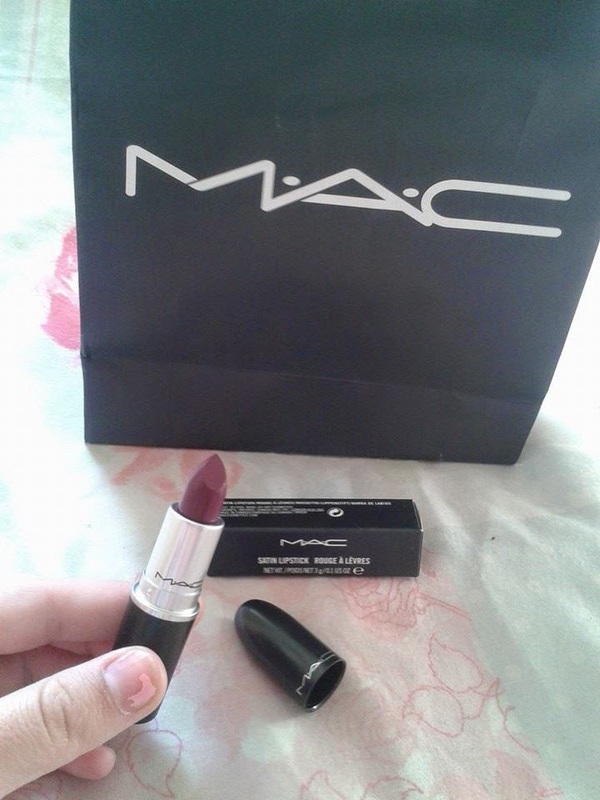 I will be doing a review on this soon so watch out for it (I wore it at school this week and ended up getting at least 20 compliments, no exaggeration). I can't wait to share what I think about it with you. We had a little snoop around the shops for a bit to see if I could find anything for Aidan. I ended up buying him some boxers from Jack Wills but unfortunately didn't find anything else so I owe him big time!! 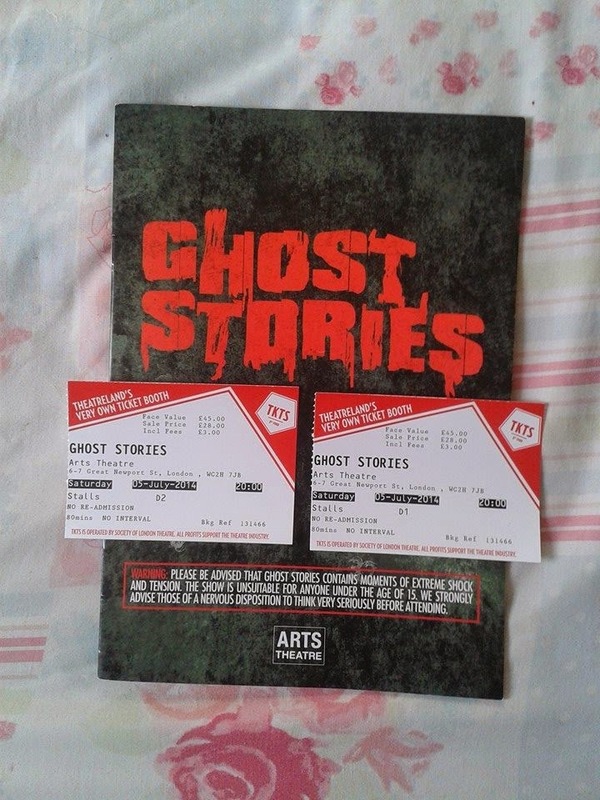 Anyway, as we were busy shopping, Aidan's parents decided to buy us some tickets for a play called Ghost Stories. 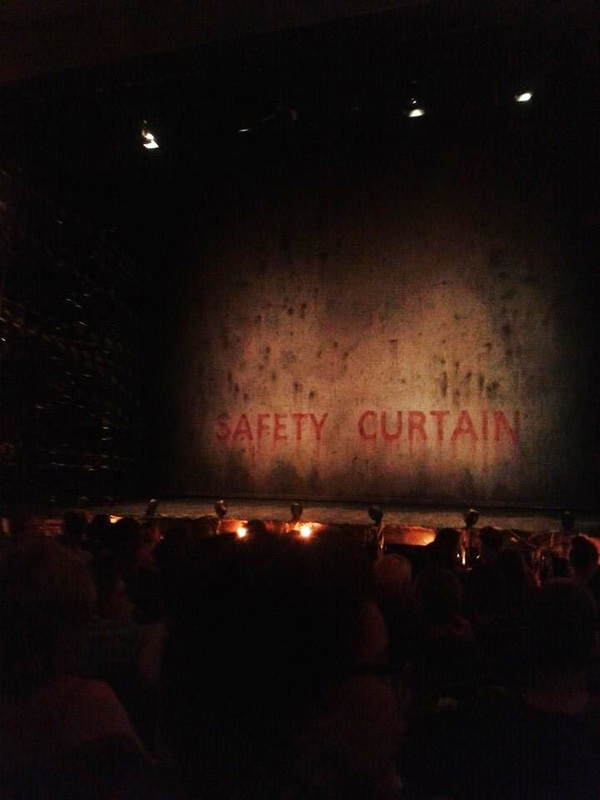 I was so scared but overall I thought it was amazing how such a small cast of people could make an audience feel so tense and gripped. The plot was very clever and it had a really unexpected twist too. 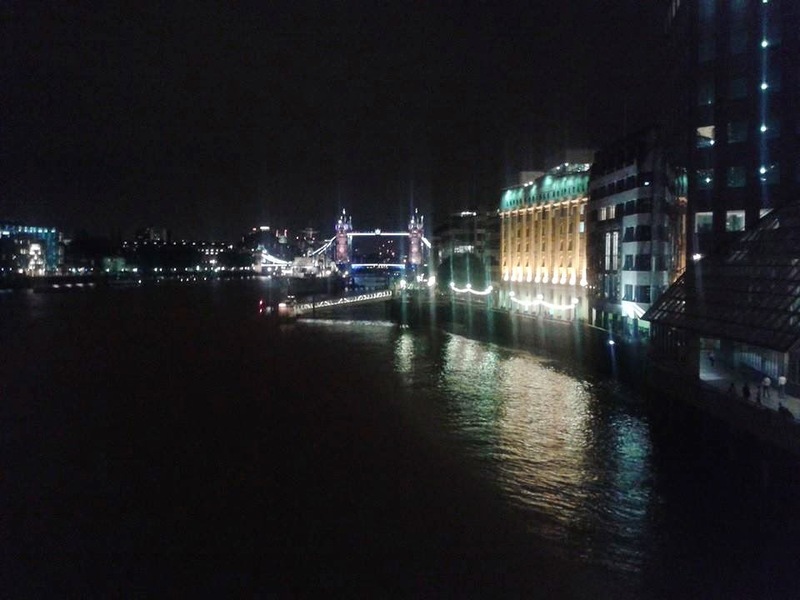 To end the most incredible day, we went for a lovely night walk by the River Thames. 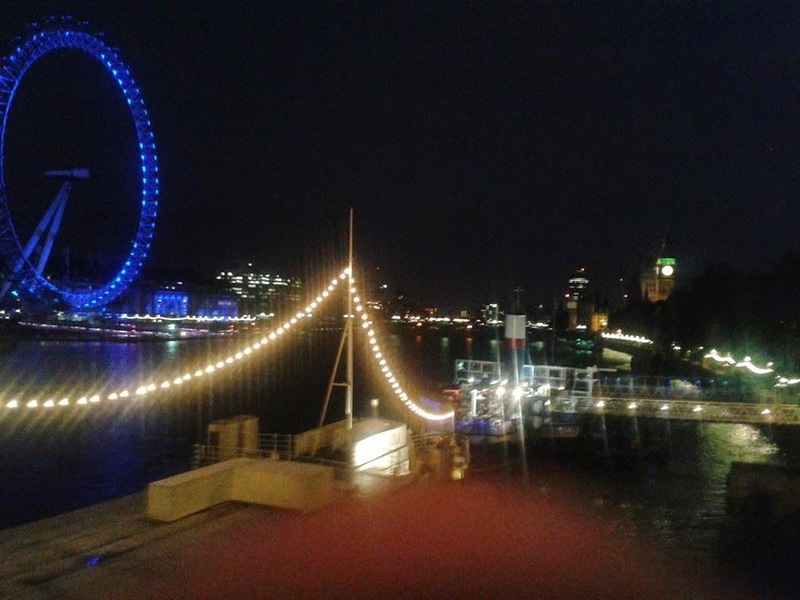 I love seeing London at night time because of all the pretty lights. 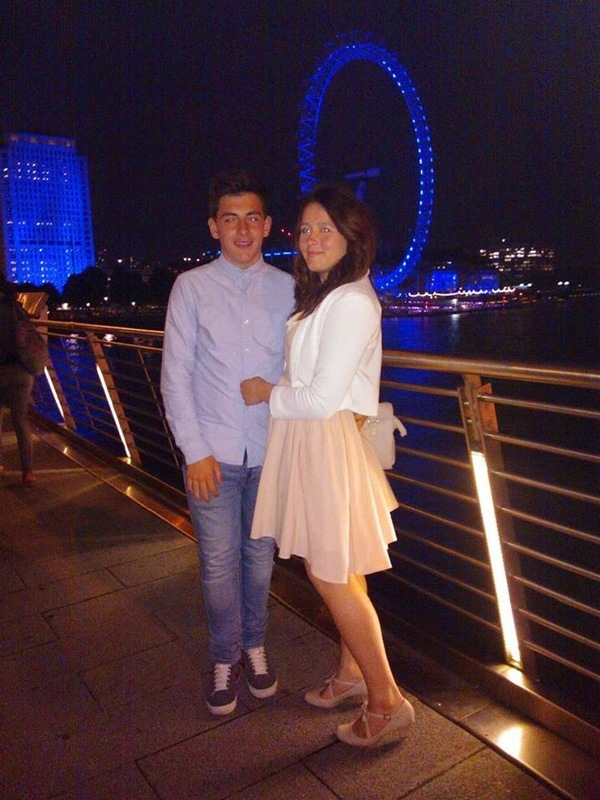 Aidan and I got some really nice photos and we got one together with the London Eye in the background. It happens to be my favourite photo from our day out. 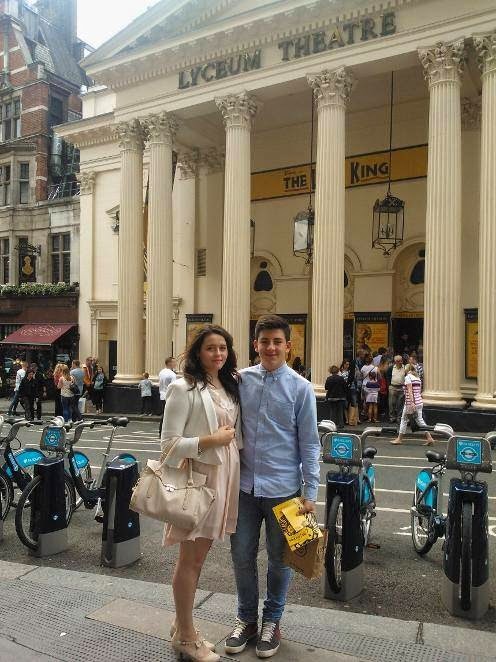 I want to say a massive thank you to Aidan and his family for making this day so special for me. I also want to say sorry if this post wasn't very interesting for you, but I wanted to make a post about this day so that I can look back at it as a memory for myself. Thank you all for reading to this point and hope you are all looking forward for my next post, which should be up in a couple of days. Have you ever watched a show in London? Have you ever bought anything from the Bodyshop? Requests for future posts? Looks Amazing! The earring are beautiful and the body butter look amazing. I have been wanting to try those for a year now.